Siddhayogi continued to narrate Guru Mahima to namadharak. Sri Guru advised haughty scholars that Vedas were born on their own. That is God’s manifestation. Veda vyasa compiled Vedas and preached. He imparted His knowledge to Pyla, Pyngi, Jaimini, Vyshampayana and Sumanthu Rishis. The disciples propagated vedic lore on the earth. Sri Vyasa himself, a jnana avatar of Sri Hari composed Maha bharatha to common folk. “Vedas are endless. Look!” He showed the vedic scripture, very huge. Bharadwaj expressed his limited capacity to learn veda. Then he gave three handfuls of scriptures to him and blessed him. Sri Vyasa imparted Rig veda to Pyla. He described its form. Rig veda purusha is red in colour. He belongs to Atri gothra. He has wide eyes and handsome looks. Aswalayana, apasthambha, sankayana, Bhashkala and Mandukhya are Rig vedic authorities. Ayur veda is Rig veda’s subsidiary veda. Yajur veda has Dhanur veda as it’s subsidiary text. It is in Tristhubh meter. The yajur veda purusha is copper red in colour and has white complexion. There are 86 branched of veda, shwetha, shwethaswathara, mythriyani are the three versions. Vyasa taught shiksha (Recitation), Vyakarana(Epitomology), Jyothisha (Astrology), Niruktha and chandhas (Metre) to Vaishampayana. He compiloed the Vedas and classified them. Jaimini was taught Sama veda, Music is its subsidiary veda. Atharvana veda was taught to Sumanthu. Manthra shastra is its Upa vedha. This way, Veda vyasa preched four Vedas to His disciples. Sri Guru explained the origin and expansion of the Vedic lore to the scholars. He asked not to sell Veda for money. He advised them to use Vedic knowledge for spiritual enlightenment and not for exhibiting scholarship. The pandits insisted for a debate on the veda. Sri Narasimha Saraswathy Yati asked them to come the next day for debate. Here ends the 26th chapter of Sri guru charitram. May Lord Sri Dattatreya bless us all! Baba Sai bless our Renuka always. Thanks Baba. The Master called one of the lay men there and blessed him. The man felt shocked as he was a man from another town, a low caste labourer. He made one of his disciples to draw seven lines on the Ground with His danda. The Master asked him to cross the first line. The man replies ‘I was a hunter’. When he crossed the next line he revealed he was a fisher man on Ganga bank in previous life. The man remembered his previous births as Shudra, Vaishya, Kshatriya and after the seventh line, admitted he was a brahmana scholar of Varanasi. The Master then applied Vibhuti on his forehead and let him argue with pundits. The lay man tackled and defeated them also. He could quote vedic hymns in perfect intonation. Blood came out of the pundits mouths. Afraid they were, fell at guru’s feet and asked pardon. Sri Guru asked them to get punished as they had insulted the veda and Hindu culture. He told them to go to Ganga banks as Brahma Rakshasas. After 12 years, they would get out of this curse when they would meet a Brahmana for seeking His blessings. Guru’s curse materialized. Pundits died. They were born as Brahma Rakshasas and suffered for twelve years and later liberated by a Brahmana. The lay man had become a brahmana and prayed the Guru to bless him with moksha. Before this Guru told him about reincarnation. Here ends the 27th chapter of Sri guru charitram. Baba bless Renuka and her family always. Thanks. The Master narrated the previous births of that man. One’s sins and virtues follow forever. A disciple who cheats his preceptor, one who has no good character, sells utensils of household use, lowers his dignity by selling woman takes a mean birth. A person, who ill-treats parents, eats on other’s income, insults the veda shall be born in low social status. Men who sell vedic knowledge for money, cheat friends, insult a guest has to suffer severe disabilities in their next births. A servant who cheats a helpful Master, one who intentionally troubles others, disturb job of others, all these have to suffer severe punishments later. The Master said, one who casts his eyes on other women, has an illegal relation with other’s wife, will get severe punishments. He may end up as born blind also. Trivikrama heard all these and all his doubts were clarified by the Master. Master, what is the remedy for all these, he asked. Sri Guru said, there are remedies for all these. Bathing in river waters, observing certain rules, chanting the sacred Gayatri Mantra, fasting etc. are sure remedies. One may openly confess his sins in the public and get relieved of it. Visit to pilgrim centres, bathing in Rama Sethu, all these will surely purify a sinner. Panchagavyam prepared by the five sacred things of a cow – Milk, curd, ghee etc. can be taken for purification. Sri Guru Said, go to Sangam and take a bath there. You will be relieved of all your sins. You shall be back as a Brahmana again. The man replied, please initiate me with the Mantra yoga and bless me. The Master asked him to get purified only after next birth. But he wouldn’t oblige. His wife and sons prayed for him. Then Sri Guru explained him the greatness of Vibhuti Bhasma. Here ends the 28th chapter of Sri guru charitram. Baba Sai bless renuka and her family always. Thanks Baba. Siddhayogi continued to narrate Guru Mahima to namadharak. The Master revealed to his scholar disciple Trivikrama on the greatness of vibhuti, the sacred ash. During Krita era. There was a sage by name VamaDeva. He was penancing at Krouncharanya in south. Once the sage encountered with a demon. The latter opened its mouth to swallow him. The sage did not bother at all. But when the demon touched him, he was enlightened by the Bhasma on the sage’s person. He did pranams to the sage and accepted that all his sins were washed away by his very touch. The ghost-turned Brahmin now appeared in a human form. He revealed his previous births. He was born as King Durjaya, given to bad habits and cruelty. After his death, he was pushed to the hell. Later he had to take births as dog, crow, pig, owl, elephant…24 births in all. This ghost was his twenty fifth form. He suffered hunger and physical pain and misfortune. His ghostly form, was removed by a mere touch of the Bhasma applied by VamaDeva. Sage VamaDeva narrated the greatness of the Holy ash. Earlier Lord Shiva adorned Himself with ashes. It was followed by Gods and sages. This is an anecdote connected to the holy ash. Once there lived a man by name Chamasa. He had discontinued all good customs. He ended up in evil company, had evil friends and was morally deprived. When he died, no one performed even his last rites. Later his dead body was eaten up by a dog. Incidentally, the dog rolled on the ashes of the crematorium. This Bhasma had a blessing effect on chamasa’s dead body. Yama’s servants had arrived to take him to hell. At the same time, Shivadootas arrived to take him to Kailasa. Yama had to oblige Lord shiva’s order. He passed an order to His messengers not to touch the dead when they are sporting Bhasma, chandana and vermillion on their person. Hence the Brahma Rakshasa was liberated from his horrible janma. VamaDeva continued. Once Bhagawan shiva was addressing the Devas who asked him how to save the sanathana dharma. He advised them to apply sandal paste, Bhasma and Gopichandana on the forehead and other eleven parts of the person. This works wonders as a saviour from evil spirits and evil thoughts. Thus Sage VamaDeva taught the greatness of the holy ashes. Meanwhile a heavenly chariot arrived to take the liberated ghost to heaven. VamaDeva blessed him and saw him off. Here ends the 29th chapter of Sri guru charitram. Baba Sai bless our Renuka always. Thanks Baba!!!!! Siddhayogi continued to narrate Guru Mahima to namadharak. Once in Ganagapur there lived a gentle man, Gopinath Satwalekar at Mahuri. He was a staunch devotee of Lord Dattatreya. Satwalekar had an agony. The couple had several children who died soon after their birth. Later he observed a Vrat in the name of Datta deva and was blessed with a son. He named the child as Datta. Datta was initiated with gayatri Mantra at the age of five. He was a very sharp and healthy boy. The parents got him married to a girl of respected family. As divine will had it, Datta suffered severe illness. The parents and the in-laws did what best they could do. But all medication, poojas, offerings did not cure him. The Vaidhyas conveyed to the parents that he may not survive for long. Datta’s wife had a strong faith in Sri Guru. She took sick Datta to ganagapur before she could reach Gurusthan, datta breathed his last. She was left with the dead body, she cried and remembered the Master. Sri guru appeared there as a Sadhu, he told her, “Death is unavoidable for all those who are born. Now learn the art of living in spiritual path. This is pre-decided”. He starterd teaching the conduct of an ideal woman as a house keeper. Here ends the 30th chapter of Sri guru charitram. Siddhayogi continued to narrate Guru Mahima to namadharak. The Master then preached the sacred duties of a woman in case of her husband’s death. Dharma needs to be safeguarded always. He quoted an anecdote from skandapurana to highlight the greatness of Pathi vrata dharma. Sage Agasthya was in Kashi with his wife Lopamudra. Mean while, Vindhya had a tiff with him. Once sage Narada played a small trick with him. He made fun of Vindhya Mountain as smaller than Meru, which was outgrown.Vindhya was in rage and suddenly started to grow. People on either side of vindhya could not look at the sun as he was an obstacle. The sages complained this to Lord Indra and Brahma. They requested the great Sage to solve their problem by taking pride out of Vindhya. Infact, Agasthya had helped them earlier by consuming Ocean waters. Agasthya approached Vindhya to solve the problem of south Indians who could not perform Sandhyopasana properly without recognizing Sun rise or sunset. Vindhya welcomed the sage. He saluted him and bent his head in honour. The sage ordered him to wait for him till he returns from South(which he never did). Hence Vindhya lessened his height and people breathed a sigh of relief. Sage narada, learning this, visited Agasthyashrama and praised Lopamudra’s greatness as Agasthya’s wife which empowered the sage to help the southerners. Lopamudra is regarded as greatest of women. Anasuya, Arundathi are both wives of Rishis, Sanjana and Swaha are wives of Agni. Suniti, mother of Dhruva also belongs to this Nari panchaka group. Hence Pathi vrata dharma can work wonders. A devoted wife has to follow certain rules. This is called Pati Vrata Dharma. She has to look after the husband, parents-in-law and the family. She shall not do anything with out her husband’s knowledge and permission. . she should always be clean, well-dressed and sport Kumkum and other auspicious things. Cow has to be worshipped everyday. She shall follow all decent manners befitting the dignity of the house hold. Laughing in an indecent manners, poking into other’s affairs, loaning unnecessarily, impulsive buying are all evils. A lady shall never do all these. A devoted wife shall always keep her family’s interests than her own. She shall not hide anything from elders and her husband. The husband should also respect her. A good wife only makes a home. In case of husband’s death she shall not leave these basic mannerisms. She shall lead a simple life. She has to divert her attention to children when they are young. Then she can continue in the spiritual path of life. Thus siddha preached datta’s wife the duties of a devoted wife. Here ends the 31st chapter of Sri guru charitram. Siddhayogi narrated the duties of a house wife to all women through Namadharak. Incase of unfortunate and untimely death of the husband, the woman has to follow certain discipline in her routine. She shall eat once a day with simple, vegetarian diet. She has to avoid all luxuries and perfumes in order to avoid unnecessary attention of other male folk. A widow shall wear white or red clothes and avoid jewels and costly dress. She shall do whatever is fit to her husband’s welfare in his next life or heavens. So saying Sri guru as a Siddha blessed Datta’s wife. Savitri, his wife wanted to burn herself with her husband’s pyre as Sati. The siddha blessed her with Bhasma and Rudraksha. He also advised her to sprinkle holy waters of Sangam on his dead body and soon disappeared. Datta’s wife bathed in Sangam, gave offerings to women and was ready for the last rites of her husband. Meanwhile she went to the guru’s place near the Aswatha tree where he was meditating. Sri narasimha saraswathy swami ji blessed her “Ashta Puthravathi Bhava”(Have eight children). So saying he gave her Bhasma. People gathered there were surprised. When her husband is no more, how can she get children? They wondered. However guru’s blessings will not go a waste, they knew. A Brahmin went to Sri guru and reported the situation. He smiled and rreplied. ‘Bring the body here’ They brought his body and Guru Himself made a disciple to sprinkle water from his kamandala. Datta got up as if from a deep slumber! He got up and asked: May I know who this Yati is? When the happy wife related whatever had happened to him, he bowed before Sri Guru. Sri guru with a divine smile answered him, It is true. But I have recalled 30 years of life from his next birth. I am here to save my children. All of them were wonderstruck and praised guru’s Mahima. Here ends the 32nd chapter of Sri guru charitram. Siddhayogi continued to narrate Guru Mahima to namadharak. Datta and his wife spent a few days in the holy presence of Sri guru. Savithri told the Guru how a yogi appeared and gave her sacred ashes at the time of Datta’s death. Rudraksha is always blessed with Shiva’s grace. 24 rudraksha beads are to be worn. Neck, hands have to sport them. There is an event which details the greatness of rudraksha. There was a ruler in Kashmir by name Bhadrasena. His son Prince Sudharma was a good friend of Taraka, his Minister’s son. As boys they were brought up together. They were devoted to Lord shiva. Always they liked to apply Bhasma and wear rudraksha. They did not like to wear the ornaments of the royal family. Once sage Parashara visited the palace. Bhadrasena told the sage about the peculiar behaviour of these boys. The sage revealed their earlier births. There was a woman in Nandigrama who looked after a hen and a monkey in her house. She had named them Shiva and Shankara. Once a merchant visited her house. He was sporting Rudraksha in his arms.He had a diamond shiva lingam. She requested him to give it to her. Unfortunately her house was burnt. The merchant felt bad as the shiva lingam was also burnt. The monkey and hen also died. The merchant fell into fire and killed himself. The woman was ready to immolate as she loved him. Lord shiva appeared to them and blessed them with shiva lokha. The monkey was born the prince and the hen as Minister’s son. Parashara concluded the story and told him that is why they continue to be devotees of Lord shiva. Here ends the 33rd chapter of Sri guru charitram. Siddhamuni narrated what Sri guru spoke to Datta and his wife on Rudradhyaya, Bhadrasena requested Parashara to predict the future of his son. The sage told him that there are only seven days for him to die. Parashara asked the king to meditate on Lord shiva. Asked how to do, he narrated the greatness of Rudradhyaya. Lord Brahma created the veda, Upanishads and was always chanting it. He taught rudradhyaya, a powerful prayer, to Atri, marichi and other great rishis. A recitation of Sri rudra will solve all the worldly miseries of people. Once it so happened that the number of people who went to hell was an all time low. This was the result of the shiva pooja and reading of rudradhyaya by them. Brahma suggested a way. There are people who recite rudradhyaya unclean with out religious discipline. You can punish them he said. Those who perform shiva pooja to please others could also be brought to hell, he ordered. Thus saying Sage Parashara advised king Bhadrasena to arrange for rudrabhishekam. The prince died. Parashara sprinkled holy waters on the dead body. Lord shiva soon manifested with his Ganas. There was a fight between them. Yamadootas ran away. Later Lord Veerabhadra blessed the prince to live another hundred years. Thus shiva pooja reciting rudradhyaya is of immense blessed effect. Those who, with devotion do this shall not suffer untimely death. They live long and healthy. After shiva’s will and grace, they reach the abode of Lord shiva Himself. Sage Narada appeared there and blessed the prince. Thus he was saved by the power of rudradhyaya. Here ends the 34th chapter of Sri guru charitram. Siddhamuni narrated SriGuru’s Mahima to Namdharak. Datta’s wife requested Sri Guru to initiate her a sacred Mantra. But The Divine Master said: ‘A woman need not chant any mantra. Her household work and devotion to husband can do this help to her. I shall tell you the story of Devayani, the daughter of Shukracharya. In Kritayuga, after Deva Asura war, Shukra, the Guru of Asuras, saved them. The asuras again continued their war. It went on for several years. Devas prayed Lord Shiva to teach a lesson to shukra. His Vahana Nandi brought him to Shiva, who devoured him. Later Shukra came out of Shiva from his sweat and again started guiding asuras. Devas now thought of a plan to reduce his mantra shakti and powers of demons by some way. It was known to Devas that imparting of Sanjeevini mantra which shukracharya had mastered to six will reduce his power. Therefore the Devas decided to send a clever brahmachari to him. Kacha, Brihaspathi’s son was best suited for this act. He was very clever and sharp. When he approached Shukracharya’s Ashram., he had doubted his whereabouts. But handsome as he was, Devayani, his daughter fell in love. She insisted the father to accept him as his student. Kacha served the guru well and impressed him. He was one of his dearest disciples. Asuras, after learning this killed him when he had gone to bring firewood from the forest. Shukra understood this. His daughter compelled the father to save him. Shukra obliged his daughter’s request and saved him from Sanjeevini Mantra which brought him back to life. Again he was killed for the second time. When they burnt his body, they made the Guru to drink the water in which his ashes had been dissolved. Then Devayani requested him to teach her Sanjeevini Mantra Vidya. He told her that a woman can not hold the mantra for long. But she wouldn’t budge. Helplessly, the father initiated her the mantra. Now, when Devayani recited the mantra, Kacha came out of shukra’s stomach by tearing off. She had to use the mantra again to enliven shukracharya. Later, Kacha refused to marry her since they were from the same father; a brother can not marry his sister. She cursed Kacha to forget the vidya he had learnt from shukra. Kacha cursed her back to forget the mantra and to marry an asura. Thus, shukra lost the power of his Sanjeevini mantra as it reached six people. The divine master hence told Datta’s wife that mantra vidya is not all. Instead he taught her shiva pooja on sixteen Mondays as equivalent to any mantra. The sixteen Monday vrata is called Sola som vara which is like Kamadhenu and kalpatharu to a lady. The divine master then gave her illustrative example of the greatness of Shiva pooja. Here ends the 35th chapter of Sri guru charitram. Siddhayogi narrated gurucharitram to Namadharak, who listened to him with devotion. Sri Narasimha saraswathi yati, after narrating the story of Devayani’s greed how it made a mantra useless, told her about the sure and successful way of shiva pooja on 16 Mondays. During Kritayuga, there was a ruler by name Chitravarma. He was a shivabhakta, leading kind and courteous life. He had a daughter by name Seemanthini. The astrologers predicted the child as short-lived. One of them told that she would live only for 14 years. The royal couple were very much worried. Seven years passed by. Once the girl overheard the parents talking about her short life span. She prayed Yajnavalkya’s wife Maitreyi and expressed her misfortune. Maitreyi convinced her. “Oh! Princess, I am happy to learn your foresight. But do not forget your day to day work by believing in prediction and astrology. However, you observe Sixteen Mondays Of shiva pooja. That will solve most of your problems. Then she related 16 Somavasara vrata vidhanam. Seemanthini followed Maithreyi’s instructions and observed Shiva pooja. A few days later, chitrangada, son of Indrasena of Nishadha was chosen as the bride groom for Seemanthini by elders. Seemanthini’s marriage was celebrated in a grand manner. Chitrangada spent a few happy days with her and unfortunately was drowned in Yamuna, on one of his water sports. Afterwards, he reached Nagaloka. He was taken to Takshaka, the Lord of snake Gods. But Thakshaka obliged on request, to send back chitrangada to the banks of Yamuna with guards. It was a Monday. Seemanthini had come there to perform Shiva pooja on the banks of Yamuna, she couldn’t believe her eyes when she saw a young man on a horse. The youth approached her, bowed to her, and gave a message that Chitrangada shall be back in a day or two. Seemanthini held this in her heart and she did not reveal in the palace. Meanwhile chitrangada’s father Indrasena was captured by enemies. Chitrangada released his father with naga’s help. He reached seemanthini’s place. A few days later, with the help of shiva pooja Chitrangada was crowned as the king of Nishadha country and seemanthini was the queen. Thus His divine grace Sri Sri Narasimha saraswathi Swamiji narrated the greatness of Shivapooja on 16Mondays. Here ends the 36th chapter of Sri guru charitram. Siddhamuni continued gurucharitram narration to earnest Namadharak. Once there lived a vedic scholar in Ganagapur. He lived by collecting alms for daily living. His wife would always jeer at him and advised him to earn a living by his vedic recitation. But he did not heed to her requests. A rich and greedy man arranged for a mass feeding one day. But the vedic scholar did not show his interest to take part there. His wife approached the Divine Master and requested him to order the brahmin to attend the mass meal and enjoy food and dhakshina. The Master obliged the woman and asked the brahmin to attend the mass luncheon. The meal was being served. But to the couple’s surprise, they felt as if they were being served and treated like street dogs and pigs. Both disappointed,obtained the host’s permission and were back at home. The couple shared a similar feeling while the husband ridiculed his wife for having compelled him, she felt sorry about her greed. They came to the master’s place. As he saw them, the divine Master smiled: Did your wish fulfill? How was the lunch? It must have been wonderful! The woman fell at Master’s feet and admitted her folly for forcing the husband to eat out. The master turned to the Brahmin and said: You need not worry. As a house-holder, you have obliged your wife’s request. At this point of time, one of the disciples asked the master:Oh! Divine Sir; is there any rule to have food outside the house as detailed in sastras? His divine Grace quoted from Parashara smriti on these stipulations. One can have food in his guru’s house, and in the following places. Maternal uncle, father-in-law, temple, a saint’s ashram. They are safe places for us to have food, only on invitation of love. One shall never have food in a miser, banker, corrupt and the house of a person who has thrown his parents away. A gambler, money lender and an unhygienic person’s invitation shall not be accepted for lunch. A house-holder has to follow certain mannerisms in dress code on occasions. He shall not wear saffron or torn clothes. He shall not wear a wet cloth or a dirty one. He shall always apply chandan, kumkum, vibhuti on his forehead. One should follow customs of elders. Sporting 12 namas, with vibhuti, sandal paste or gopichandan is important. The 12 places of these sacred anoints energise our 12 energy centres. Surya namaskara, sandhyopasana are to be observed as per tradition. Elders are the guides for these customs. Sandhyopasana has to be performed by all those who had Upanayanam or Guru’s upadesha. Morning sandhya has to be observed a moment before sunrise, evening before sun-set. Gayatri mantra has to be meditated for at least 108 times. Elders called pitru devatas, 42 in number have to be given tharpanam. In the death of a father, son has to continue this. Death ceremonies have to be observed without hesitation. Though simple it shall be a decent, personal affair. Lord Yama has to be appeased by Yamatarpanam. These 13 names of Yama are to be recited. Yama, dharmaraja, Mrityu, antaka, Vaivastava,Kala, Sarvabhutakshayakara,Audumbhara, Niraya, Parameshti, Vakrodhara chitra & chitragupta are these sacred names. By this tharpanam our sins shall be dissolved. Thus sri guru taught the secrets of Dharma. Here ends the 37th chapter of Sri guru charitram. 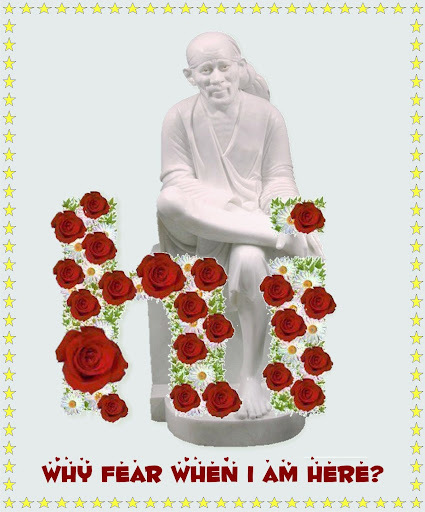 Baba Sai bless all your devotees with peace and happiness always. Sri guru of ganagapura imparted ritualistic & spiritual knowledge to those who came and requested for guidance. Parashara Smriti details about spiritual discipline to be observed by those who follow vedic scriptures. GOpooja Suryopasana, Gayatri japam, worship of idols and Homa are important. By offering pooja to shalagrama, all sins could be warded off. A house-holder shall not worship stone, wood or metal idols with out guru’s permission. An idol shall be thumb length and not too big. Daily worship brings prosperity to the family. There are ways of saluting the god, guru and elders. God has to be saluted to the right of the idol. Parents are to be respected bowing straight to them. One has to fold hands in doing so. Elders’ feet have to be touched. At the end of pooja and pranams, whatever food is ready, one has to offer to god. Any guest who comes during lunch time has to be invited for food. Cow has to be fed with a morsel of food. A house-holder has to eat twice a day. Broken and copper plated have to be discarded. Food shall never be thrown out. Anna is god, says Upanishad, while eating one shall not speak. Darkness, crematorium, temple premises are to be avoided by a householder for food. After food, one has to remember Agasthya and Hanuman. Soon after food, one shall not sleep. While going to bed in night, Aastika, Agastya and other chiranjeevis have to be remembered. One shall never sleep in Shiva temple, bank of a river and other unknown places. Thus the divine Master taught His disciples. Here ends the 38th chapter of Sri guru charitram. Siddhayogi narrated gurucharitram to Namadharak the next day. Namadharak was filled with devotion and wonder. He remembered Sri guru’s name repeatedly. Sri Narasimha Saraswathi Swami was easily available to the poor and needy. Those who were blessed with prosperity donated liberally to gurupeetham for a noble cause. The divine Master never touched money. He would ask a disciple to give away money, food and clothes to the needy. Once a poor man wanted to offer whatever he had to the Master. He reached ganagapur & stayed there to have guru’s dharshan in the morning. He witnessed how devotees were treated there. He was surprised how he could do his might. Master sent words to him the next day that he would accept only his offerings. The poor man gave away whatever he had with him to the cooks. They prepared food using the material. The Master had invited many for the luncheon. Leaf plates were put in order after swami ji’s pooja. One of the cooks ran to the Guru and revealed that the food prepared was enough for only three. Sri guru went in to the kitchen , sprinkled water from His kamandalam and spread a saffron cloth on that. He instructed the cooks to serve food to all without taking off the cloth. People started eating food. They got ‘Ichha Bhojana’-whatever they wished. Spicy food, sweets, savouries –whatever they wishes were served to them. It reminded of Sri Krishna’s grace and Dattatreya’s avatar. All those who ate praised the Guru and the host. The poor man took food later. Whatever food was left was thrown into flowing Bhima waters for aquatic creatures. Thus guru’s grace worked like akshayapatram of Mahabharatha. Here ends the 39th chapter of Sri guru charitram. There lived in Ganagapur an old couple somanatha and Gangathayi. They were childless. The woman would daily visit the divine Master’s monastery and offer whatever service she could. Once the Master asked her why she visited him each day and what problem she had. She said: Oh!Divine sir! Earlier I prayed for progeny. Now I feel the spiritual path is the best for liberation than having kids. The master said you shall have them and be liberated also. She could only think that the Master is cracking a joke. The divine Master told her that it was not a joke but god’s words. He advised her to take rounds of the Ashwatha tree, which is Sri Narayana’s form. The woman followed Master’s instructions. She would bathe in Sangam and take as many rounds as possible. She had a dream. There she found a brahmin blessing and telling her to meet Sri guru, who would grant her what she wished. On the fourth day, the woman had Sree Guru Dharshan. She was given two mangoes as Prasad. The Master told her that she would have a boy and a girl shortly. She could end her fast and get back to normal life. The woman at advanced age gave birth to a girl. People were shocked. She brought her to guru Sannadhi and got His blessings. The woman asked Him about the male child. The divine Master smiled and answered. Do you need a long lived fool or a thirty year living scholarly son? She preferred the latter. The Master pronounced thus “Let it be so”, and retired to his room. In a few years, Somanath couple had a son, a scholar. He also performed Soma yaga. Thus a childless woman also could have progeny by Guru’s grace. Here ends the 40th chapter of Sri guru charitram. Page created in 0.688 seconds with 69 queries.